If you checked out our first impressions of Chrome for Android yesterday, then you probably noticed in the top screenshot a toggle for “Chrome to Mobile.” At first, we assumed this was just a tie-in to the already present Chrome to Phone extension in the market and on the PC version of Chrome that allows you to send current web pages directly to your phone. Well, that’s exactly what it does, only it’s a completely separate extension that needs to be installed in your PC Chrome browser instead of Chrome to Phone. Why on Earth they would not try to merge the services is beyond me, but so you know, “Chrome to Mobile” is separate from “Chrome to Phone” only it works in basically the same way. 1. The first thing you will need to do is open your PC Chrome browser and grab the extension. 3. You will want to click that and then follow the instructions on the screen to get it set up. 4. 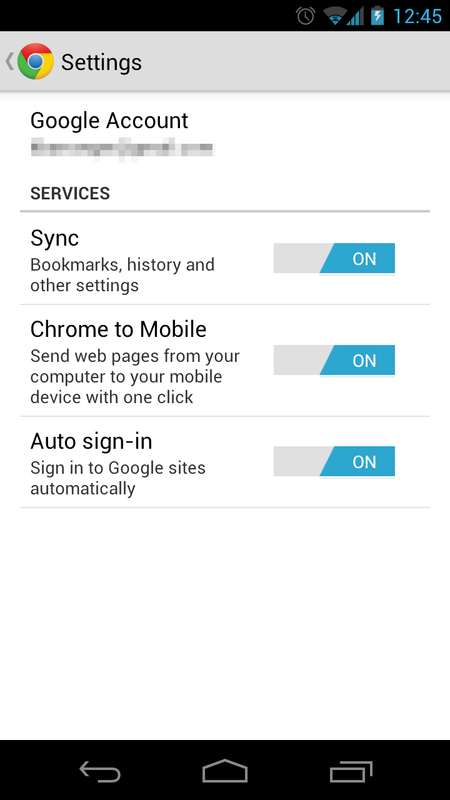 Then open your Chrome for Android app and head into settings to make sure the service is turned on. 5. 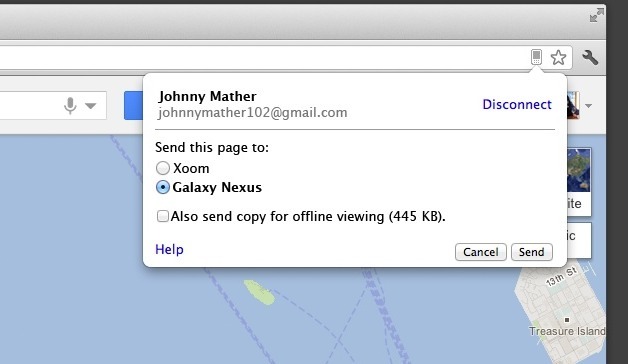 Once turned on, head back to your browser, find a page you want to send, and click the little phone icon. 6. 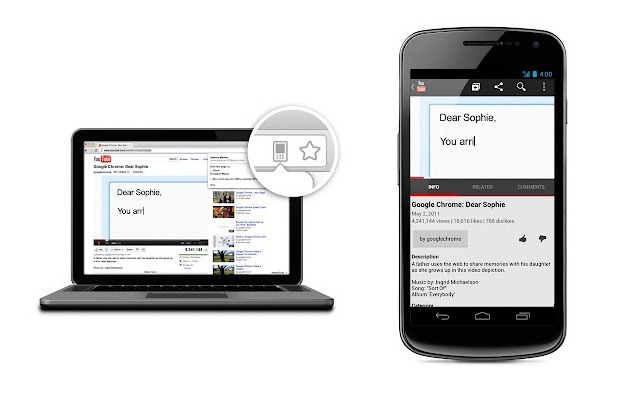 It may ask you to choose a device depending on how many you have with Chrome for Android. 7. Once the site is sent, your Chrome will pop up automatically. Enjoy! *Note – As many have pointed out in the comments, Chrome to Phone is actually much more feature-rich than Chrome to Mobile, we just felt the need to point out that these services should have been combined from the beginning. Both products are run by Google, why not merge them together? Hopefully they will in later releases.